Hi, I am here to tell you about an unfortunate disease that has been afflicting baseball fans on the Eastern Seaboard for the last 100 years. This dread disease roots itself deep within almost every fan of every sports team that exists North of the Mason-Dixon and East of the Mississippi River. Research indicates that it’s passed down genetically from granddad to dad, from mother to father, from son to daughter. Are you a gendered person, living in the Northeast and rooting for such teams as the Boston Red Sox, New York Yankees, Baltimore Orioles, or any other neighboring professional team? This might be difficult to take but you too, are afflicted with this disease and will pass it down to your offspring and for generations to come. It goes by no name. What is known is that it involves an acute lack of awareness of any other baseball teams that exist beyond their regional, time zone. Those inflicted with this disease know that such other teams exist but, like looking directly into the sun or speck of subway dirt in one’s glasses or the memory of what occurred after your 16th shot of Jagermeister, the details of such teams is difficult to see, remember or understand. As a result, the vague, blurry recollection of these teams are scoffed at. After all, as we learned in Sociology 101 before we could grow beards, it’s easy to dismiss that which you don’t know. Sound familiar? Yes, it might be true. If you are reading this in the EST and surrounded by skyscrapers, brownstones, or colonial row houses, you too, might be inflicted. Sadly, we saw this first hand yesterday in a post from a fellow writer here at ballballballball.com who made a claim that last night’s Seattle Mariners – Los Angeles Angels game was a mere worthless, boring display of sport that was worth no one’s attention. Indeed, he too must be afflicted with this debilitating disease. I have no ill will towards this gentleman. For how could he overcome such great, deeply ingrained affliction? After all, for anyone lucky enough to be free of this dread disease would clearly have recognized the greatness that this game possessed, replete with the likes of Nelson Cruz (leader all of baseball in home runs), Robinson Cano (six-time all-star) and Kyle Seager (5.8 WAR last year). But, more importantly, it held the potential for greatness because the greatest baseball player of our generation was a part of this game. Our generation’s Mickey Mantle. Our generation’s Say-Hey Kid. The Sultan of Swat. The Colossus of Clout. The only and one and only and forever with hearts around your name Mike Trout. 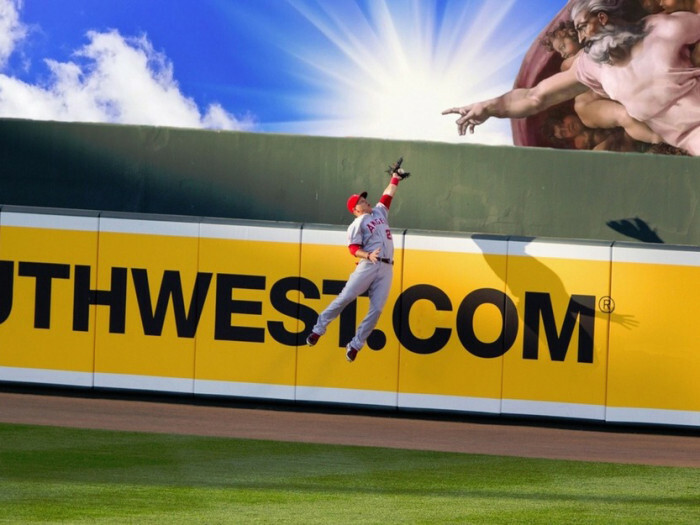 And it has been written that any game that involves Mike Trout has the potential to hold great things! And lo! It did contain great things from this man! He ran down a deep-fly ball in deep right-center and leaping into the air, he seemingly flew—like the alter-ego of Clark Kent—towards the hurtling sphere for catch we could call “amazing” if we were the kinds of people to use that sort of word. Was that enough for us? Clearly not. Wielding the lumber, the Milville Meteor launched a ball DEEP into dead-center to delight of all who wear red and root for the Big A to alight itself as it does every night after every W, great and small alike. But what of the game? It too held the great things. Kyle Seager went yard. Each pitcher went seven, strong innings. Then in the ninth, the Mariners rallied to tie the game. Suspense! 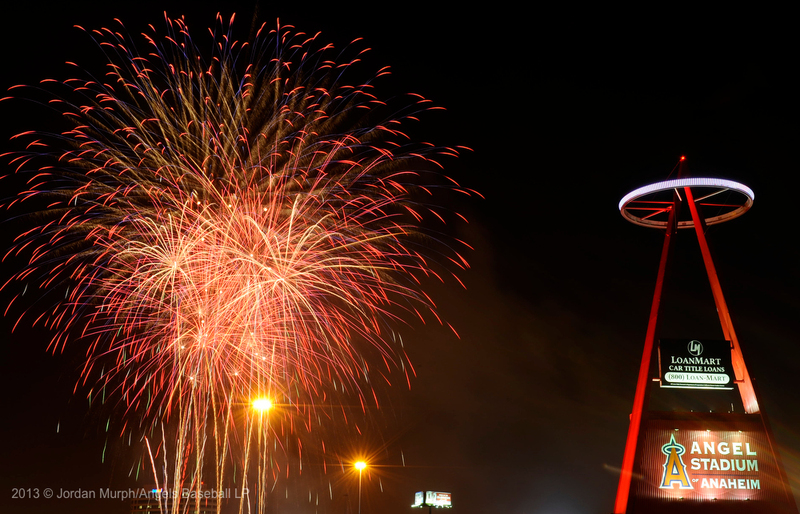 But the Angels persisted, thanks to Johnny Giovatella—a man who looks like he’s a lost member of the Four Seasons—who insisted upon slapping a ball into right field for a walk-off win and a Gatorade shower. We torment ourselves and lose sleep because of baseball. Because of Mike Trout. Because of greatness, and because of wonder.